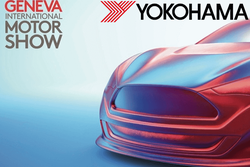 At the Geneva International Motor Show, Japanese tire manufacturer Yokohama has announced the launch of its Advan Neova AD08RS semi-slick tire that will be put on sale in Europe this spring. The model will come in 31 sizes ranging from 185/55 R15 82V to 255/30 R19 91W that will gradually appear on the market. Yokohama Advan Neova AD08RS is a re-engineered version of the Advan Neova AD08R semi-slicks, designed specifically to meet the new European regulations ECE R117-02 S2WR2, with increased environmental performance. The new tire Advan Neova AD08RS has kept the tread pattern of its predecessor, which got a solid reputation thanks to outstanding handling on both wet and dry surfaces, as well as high resistance to wear. At the same time, changes were made to the rubber compound. Its renewed formula is meant to ensure lower rolling resistance. The new summer Yokohama tires provide great handling and low fuel consumption, which will surely satisfy the fans of highway speeds, delivering tons of driving pleasure. We will also note that in addition to Advan Neova AD08RS, the Japanese tire maker brought to Geneva its other SUV tire models, such as Geolandar X-CV (G057) and Geolandar X-MT (G005), as well as G. T. Special Classic to put on classic passenger cars. One of the exhibits at the Yokohama booth was the ultralight tire BluEarth-Air EF21 which is known for its exceptionally low rolling resistance and reduced noise emission.says the technical expert of TiresVote.com. On the domestic market, it was presented still in 2017. It was developed to commemorate the company’s 100th anniversary. As part of the winter tire strategy, the Geneva Motor Show will mark the world premiere of the Yokohama’s passenger-car studless tire «IceGUARD iG60» that achieves the highest performance levels of any studless tires ever produced by YOKOHAMA, as well as BluEarth*Winter V905, a highly fuel-efficient winter tire for passenger cars and SUVs. The Japanese tire maker also presented «BluEarth-4S AW21», an all-season tire for the European passenger car market.